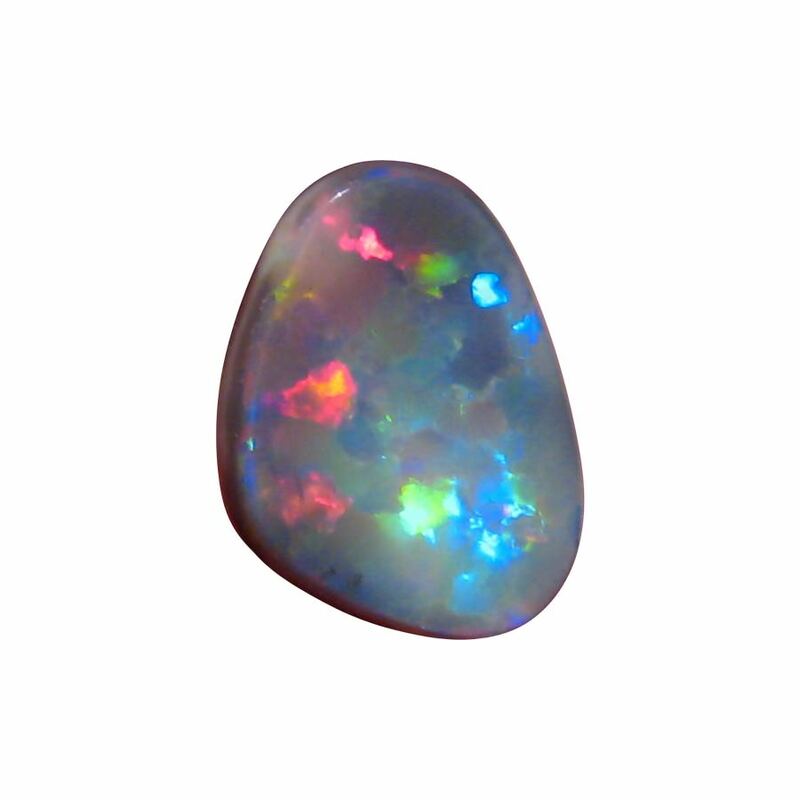 A Black Opal from Lightning Ridge with a unique mix of colors in a lively pattern. In stock and ready to ship. 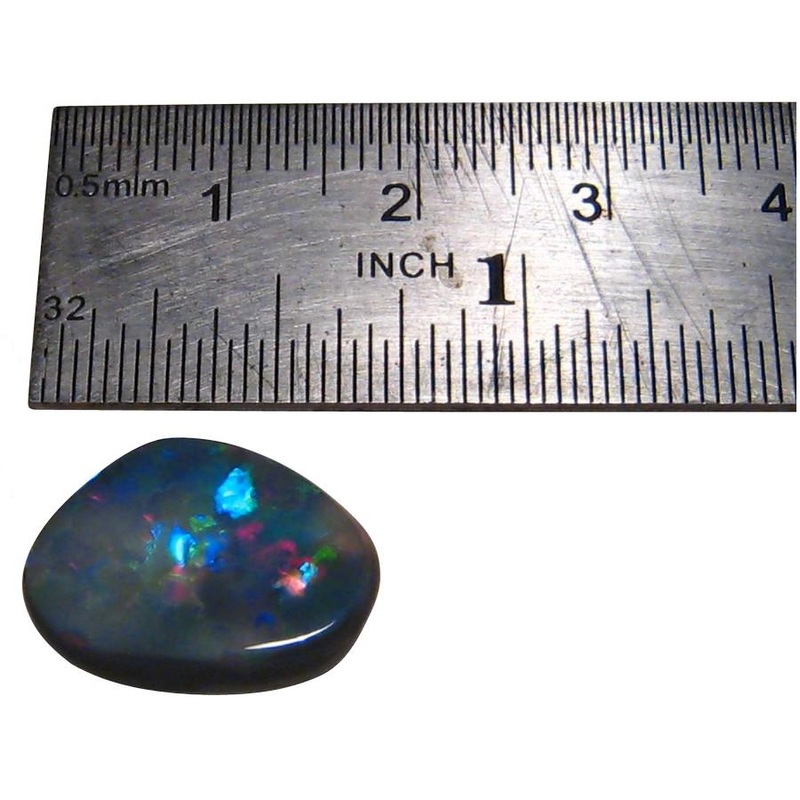 This Opal can be classed as a semi Black or Black as it has an N2 band under the surface where the color flashes with the base of the Opal have an N5 body tone. 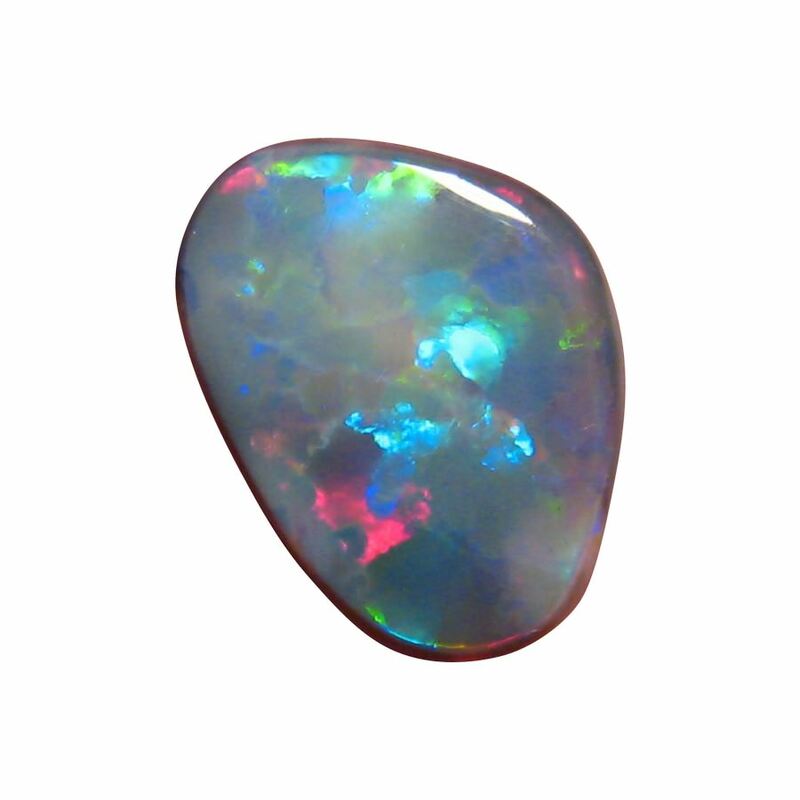 There are Red and Blue patches of color as well as the uncommon Purple and the video will show the Patch color play with movement. 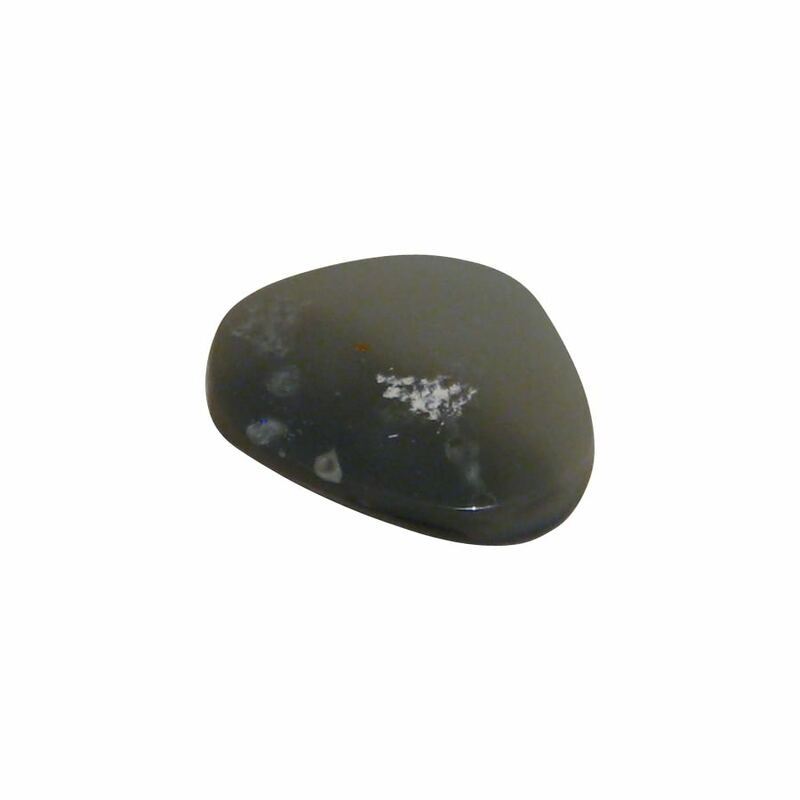 The stone has been cut to a free form shape having a weight of just over 6 carats so a good size for a ring or pendant. 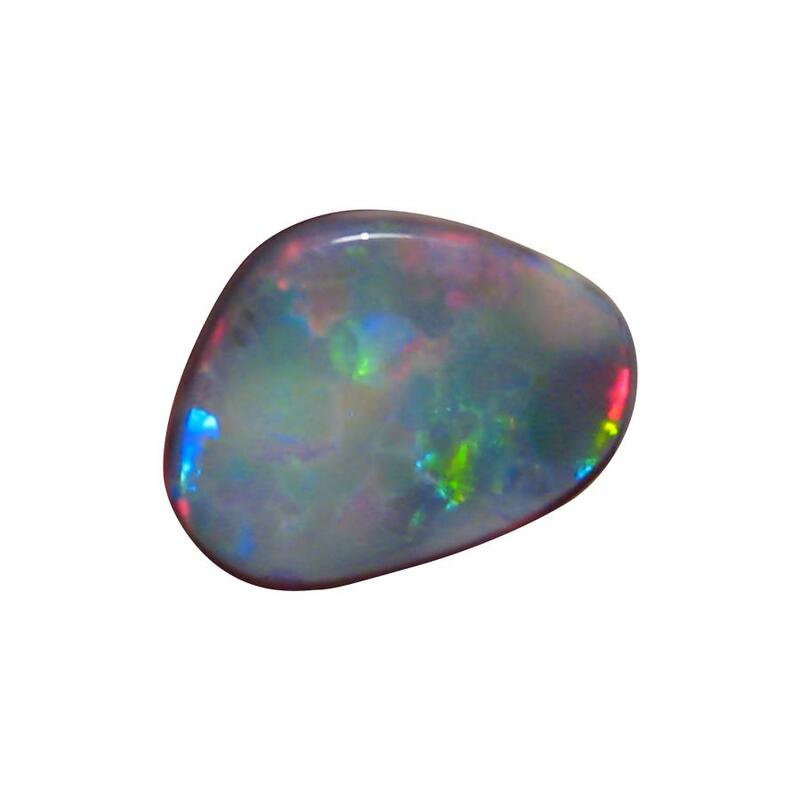 If you would like a price for jewelry to fit this gem, contact through this product page to discuss options.